You are here: Home / Careers advice / How can my CV demonstrate my previous performance? One of the biggest mistakes a job seeker makes is misunderstanding what an employer really wants to see on a CV. Your qualifications and skills are very important, and ideally need to closely match the job description if you want to stand a good chance of getting an interview, but the hiring manager also wants to know how well you performed in your previous roles. In such a competitive job market an employer is looking for a much higher standard of CV, and if you want to go that extra mile to impress you should be looking to demonstrate your level of performance. So how are you going to get the message across to a potential employer that you perform well in every job you do, and your consistent performance will carry on over to their company? Facts and figures will always win over fluffy statements. A great way to impress an employer is to give them real facts and figures on your CV. For example, applying for a sales role would give you the opportunity to provide your sales figures at your current or previous roles. There is no better way to prove that you are a great salesperson than showing how you met and exceeded your sales targets, and using real figures can also help impress the hiring manager for any role. You can also do this for any ideas you came up with that increased revenue or saved time for a process. How much revenue did you generate, and over what time period? How much time did your amazing idea save the company or the customer? Without these figures you are just providing cliché statements on your CV without the evidence to back up your bold claims. The employer may choose not to believe you and you could end up on the ‘no’ pile. 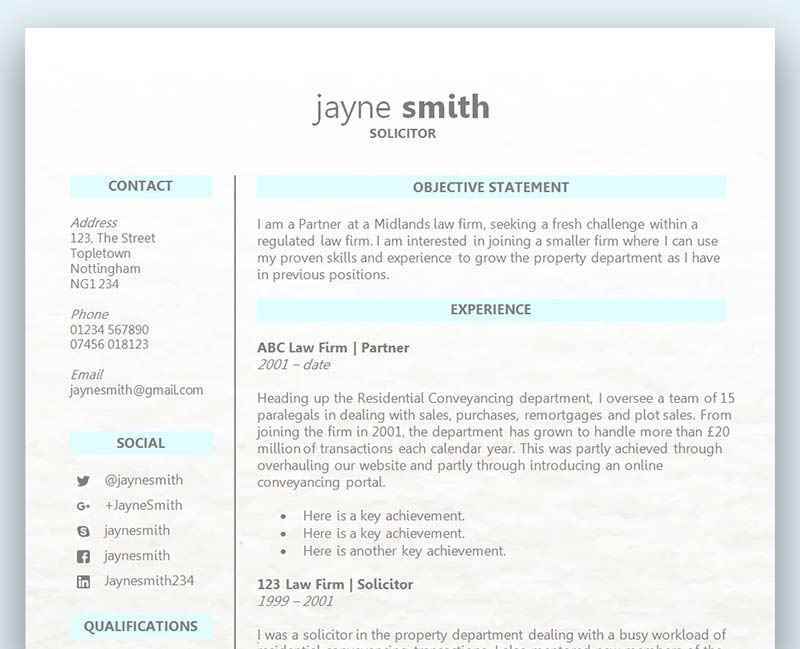 An online portfolio can be an effective extension of your CV. If you specialise in IT then you could consider providing links to your work. Your previous web builds would showcase your skills and make it much easier for the employer to see what you’re capable of and how your skills would benefit the company. Anything from marketing campaigns to editing videos and graphic design could be easily linked to on your CV, and will make your application more memorable. There are also lots of other ways to provide additional information on your CV that indicate how well you’ve performed in your previous roles. For instance, you could describe scenarios of how you handled a customer complaint and other examples of outstanding customer service. Or you could describe how you supervised a project and led your team to success – again, provide details on the benefits this project had and a brief synopsis of what the project was about. Pictures, charts, excel sheets and graphs are also great ways of showcasing your expertise, knowledge and performance from a previous role. Be careful however not to overdo it and provide too much information that bores the hiring manager. Keep any additional performance information short and to the point, whilst always considering what the employer would want to see and how this extra information would benefit their company. LinkedIn and Twitter provide opportunities to build online profiles that can impress prospective employers. Even if your career is not IT based you should still have professional online profiles. Networking sites like LinkedIn will allow you to create a fantastic online profile that can track your career progression, highlight your achievements and skills, confirm your employment history, and connect with other employers to receive endorsements. Many employers now expect to see a link to sites like this, so start your profile today if you want to stay current. Twitter similarly can be used to build a strong profile with connections to industry specialists. Optimise your Twitter profile, follow, share and comment on industry leaders’ posts and ensure you are active within relevant communities. Again, your Twitter link can be included on your CV so that prospective employers can check out your activity, if they want to. This adds another layer to your application and invites the hiring manager to spend more time on your information to gain a better insight into you as a person. What about other social sites? Sites such as Facebook are not seen as a professional career based network because they are mainly for social purposes; however this does not mean to say that the employer won’t take a sneak peak at your profile to find out more about you. You could of course make your profile private so an employer cannot see it, but a better approach is to clean up your profile and ensure it presents you in a positive light. Are you a family person or do you go out clubbing on the weekend? Are you into sports or do you play in a band? Do you seem like the sort of person that would suit the company’s culture? More employers than ever before are checking social profiles, so it’s important that yours send the right message. Only give a reference’s details on your CV if you’ve already spoken to them about it. Another forum that the employer likes to use to find out more about your past performances is your references. To help improve your chances of gaining an interview you should take a more focused approach as to who you decide to put down for a reference, and ensure they are on board and aware of your plans. Contact your previous managers and ask them if they are fine with using them as a reference on your CV, and also confirm the job you are applying for and what that employer would be interesting in knowing. Your reference should be fully aware of what’s happening so they are in a great position to provide you with the best and most accurate reference you can hope for. If you’re not in a position to approach the reference just yet (for example, because you’re still working for the company), don’t put it on your CV – instead, write ‘references available on request’. Some experts think this is a better approach anyway, because (a) you can maintain control of when your references are called, b) You can give them a heads-up that they’re going to be receiving a call (and indeed, don’t have to bother them if you’re not offered the job) and (c) it reduces the risk that your references will be called for non-reference related matters.